Pick up a free Aveda Hair Care sample pack! 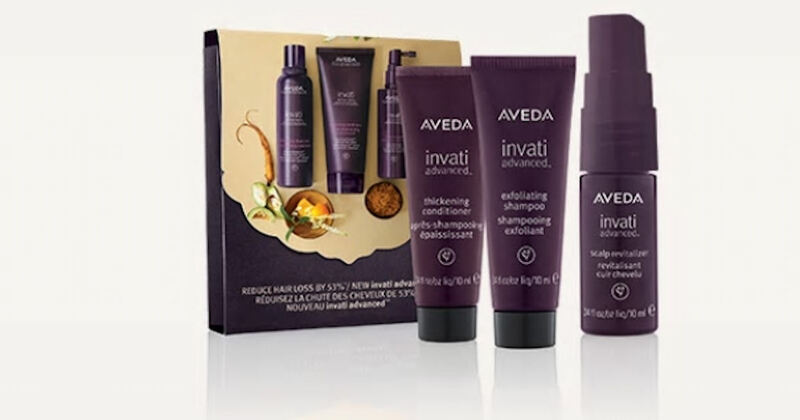 Get a free Aveda Invati 3-Step System Sample Pack at your local Aveda location! It includes: Invati Exfoliating Shampoo, Invati Thickening Conditioner and Invati Scalp Revitalizer. Scroll down to where it says 'Try Invanti Advanced 3-Step System' for more details. Just stop by Aveda and mention the offer to get yours for free - no purchase necessary when picked up in-stores!